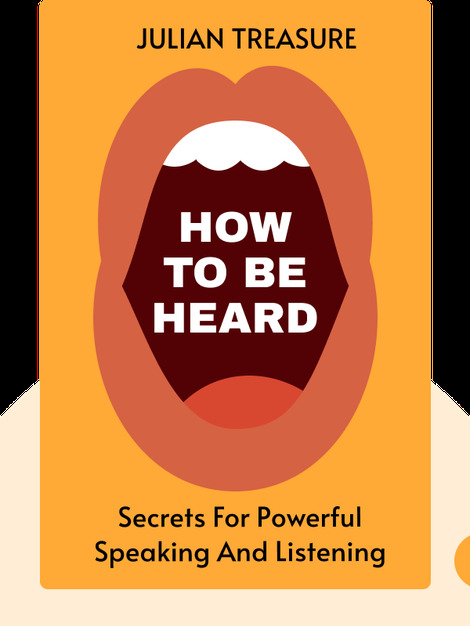 How to be Heard (2017) identifies proven ways to become a powerful speaker, the kind that commands people’s attention and keeps them hanging on your every word. 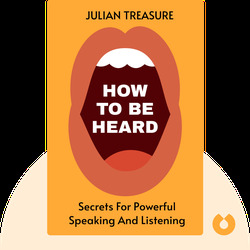 Author Julian Treasure also examines the steps people can take to improve their listening skills, allowing them to better understand what’s being said and making the listener feel that they’re being heard. These tips can help improve both communication skills and our most important relationships. Julian Treasure is an acclaimed international speaker whose TED Talks have accumulated over 40 million views and have been ranked among the top ten TED Talks of all time.